We were watching Clash of the Titans (the new one). There is a scene where the guy rides a Pegasus. "I want a flying horse" says Katie. 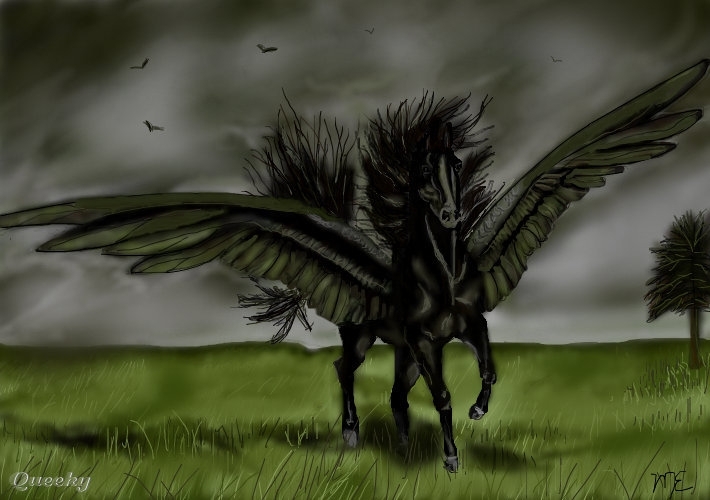 "They're called a Pegasus" says Dennis. "And they aren't real." "Then I'll just combine a horse and a dragon." Katie said. "Dragons aren't real either." was Mary's reply. "WHAT DO YOU MEAN DRAGONS AREN'T REAL??!!" Katie said back shocked! She is almost 15 and thought flying horses and dragons were real. Either she has a really good imagination or she missed that part in Science class.